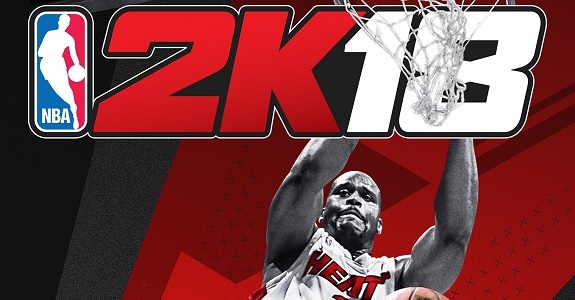 On this page, you will find everything there is to know about Software updates for NBA 2K18 on Nintendo Switch (originally released on the Nintendo eShop on September 15th 2017 worldwide, and at retail on October 17th 2017 worldwide). How to download Software updates for NBA 2K18 on the Nintendo Switch? This update disables the screenshot feature, officially due to a “new Nintendo policy”. Trivia will be re-enabled in the 2K Zone in MyCAREER once all consoles have received this update. If you have not yet tried it out, 2K Zone Trivia provides 25 VC for every question you answer correctly! Users will no longer experience a hang when attempting to read texts from Bryan in MyCAREER. Fixed an issue where Bryan would stop sending users texts to pick up their endorsement VC cheques in MyCAREER. Addressed a hang that could occur in the Gatorade Training Facility right before starting an activity. Addressed a case where some users were seeing their custom created shoes appearing differently in-game than how they looked in the editor. The camera will no longer focus on the crowd when play resumes when called right before a free throw in Pro-Am and Play Now Online games. Fixed a case where the playoffs would fail to advance after completing a round during an offline MyCAREER. Squads will now remain intact when choosing to Play Game after completing a Ruffles Tournament game. Player action photos have been updated to include the players in their new uniforms. Custom created shoes are now a much higher resolution when viewed on players in-game. Authenticity improvements to Clippers, Spurs, and Magic 2017-18 uniforms. Authenticity improvements have been made to the ’07-’08 New Orleans Hornets uniforms. Improvements to the audio ‘pops’ reported by Switch users. Fixed an issue on the Switch where armpit hair was showing as white/grey on players that have it. Fixed an issue where the Coach’s Clipboard would show the incorrect matchup for an opponent. Fixed an issue that allowed players to break out of a dunk and re-jump into another dunk after performing a drop step move. Adjusted shooting foul frequency, especially for well positioned and high rated blockers. Fixed an issue with the shot clock on the broadcast scoreboard where there would still be a very small amount of time after it reached 0. All of the player icons should now be visible when reviewing the 3-2 Zone defensive set during a timeout. The user’s suggested lineup will no longer revert after reaching a 90 overall and setting it in the My Minutes menu. Fixed an issue where the VC balance shown at the end of NBA games wasn’t displaying the correct value (though you were actually credited with the correct amount to your account). Fixed a hang that would occur when attempting to leave the MyCOURT closet with a custom-created shirt equipped. Addressed an issue where the user was unable to equip the skateboard onto their MyPLAYER. Addressed an issue where the user was unable to equip custom-created shoes onto their MyPLAYER. The MyPLAYER’s headband will now properly colorize along with his teammates. Fixed a case where the user would be unable to enter a Team Practice when they had previously decided to switch to a different shoe company after shooting their shoe commercial. Fixed a rare hang where the game would fail to advance at the conclusion of the 3PT contest during All-Star Weekend. The MyPLAYER’s headphones should no longer unequip unexpectedly when performing various actions in the Neighborhood. The MyPLAYER’s accessories will no longer be seen unequipped during postgame interviews following played NBA games. Fixed an issue where an incorrect Defensive FG% of 0.0% would occasionally be shown during halftime, causing your head coach to give inaccurate advice. Addressed a case where the game could hang after the opposing team wins the Conference Championship in MyCAREER. Fixed a number of issues surrounding the starting and ending of MyCOURT games involving other human users. Corrected an issue where Bryan stopped texting the user regarding the picking up of earned endorsement checks. Users of the Switch version of the game can now join other friends in the Neighborhood by using the Friends app on your in-game telephone. Improvements to the T-Shirt Voting interface as well as the T-Shirt Purchasing interface. Fixed a bug where some users weren’t able to complete the Gatorade endorsement after winning 5 games on the Playground. Fixed an issue where thumbnails would fail to appear if the user moves between the T-Shirt Store and T-Shirt Voting pages too quickly. Fixed an issue where the 2K Cam would fail to flip in Playground games when previously playing a King of the Court game. Stability and performance improvements to the Dew NBA 3X event. Addressed an issue where the timer wouldn’t always count down as expected during the Dew NBA 3X event. Lineup improvements during Ruffles 4-Pointer Challenge games to ensure that similar positions guard each other where possible. Fix a case where some users were unable to join a friend’s Playground due to their name being flagged as inappropriate. A number of improvements to the Pro-Am Walk-On/Team experience. The correct VC earnings and balance will now be shown at the end of Pro-Am games. Teams can now wear alternate jerseys in Pro-Am Team when they reach the Elite status. Users who foul out in Pro-Am games are now able to spectate the remainder of the game. Fixed an issue where users who had their commentary language set to Spanish were experiencing problems playing in Pro-Am games. The end of game stats overlay will now appear with the correct stats for users who foul out of a Pro-Am Team game. The 2K Card will now show the correct Pro-Am Walk-On stats. Fixed an issue where players were being removed from online MyTEAM games for committing too many fouls when they had only committed a small handful. Users can now apply any brand of shoes to historic players. Setting up your lineups is now easier as player positions are now shown in the Edit Lineup interface. The Total Points tally at the end of a MyTEAM game will now always display the correct amount. Shoe boosts and added badges will no longer be incorrectly applied while in Pack and Playoffs. Fixed an issue that caused premiere players to wait until the end of free agency before signing a near-minimum level contract. Tuned the quality of draft classes at the default level to bring down some of the higher end prospects being generated. Ongoing work is taking place to improve this further and better balance the classes as a whole. A number of improvements to the editing of contracts, including that users can now properly edit contracts of players who have signed a contract extension while still on their previous contract. Fixed an issue where a valid Advanced Rotation would fail to load within the Rotation Timeline menu. The System Proficiency and Player Training menus will now list players in their proper lineup ordering. Fixed an issue where the portrait for the currently selected staff member would fail to draw after advancing days during the Staff Signing period of the offseason. The Classic Edition uniforms for the Bucks, Hornets, Lakers, and Suns have been added to the game. Look for these to be released in the next roster update! Five new shoes have been added to the game: BBB ZO2: Prime, Jordan CP3.X AE, Jordan Super.Fly 2017, Nike Foamposite One, and Kobe A.D. NXT. Look for these to be released in the next roster update! Improvements to the CAP/Lab user interface. New CAP facial hair: 18 new beards, 2 new mustaches, and introducing 8 facial stubble styles that can be mixed & matched with our various hair styles. Girth now changes when adjusting weight in roster Create-A-Player. Added eyebrows and eye colors to the roster Create-A-Player. Detroit Pistons court floor updated has been updated to their new Platinum Equity floor. Orlando Magic court floor has been updated. Player names are no longer cutoff in the uniform editor when creating a uniform. (Switch) Game no longer suspends when pressing the home button while in a Play With Friends locker room. This will prevent the accidental disconnects reported to us. The number of left ankle injuries should now be greatly reduced during user-played games. Added more variety to the types of injuries that can occur in-game. Attempting icon passing while posting up will no longer disengage you from post. More responsive triple threat moves when crowded by a defender. Fixed a dribbling issue that would cause escape crosses and hesitations to sometimes face sideways. Made catching passes in the corner more reliable. Made some improvements to the screen system to improve reliability and user control. Edited several off-ball ride/deny animations to improve user control and visual fidelity. Fixed an issue with putback layups that would sometimes cause them to hit the front rim or bottom of the backboard. Fixed a bug that would cause defenders to pop to a stand while lying on the ground after a hard foul. Various improvements to the Teammate Grading system. Fixed issues where defenders were set to GAP, ignoring user and ACE settings. Fixed a hang that could occur when the ball boy picked up the ball while it’s in play. “After Foul” animations updated to prevent hands from clipping into the head of another player. When the offensive team wins a jump ball, the shot clock should now be reset. Addressed a case where defensive settings inside the Coaches Clipboard were not sticking after being changed. Fixed an issue where a player on the losing team would sometimes celebrate with the winning team when his team lost the game. On-Court shoes are now free for the given shoe company your MyPLAYER has a contract with. Updated MyCOURT murals for: Thunder, Bulls, Pelicans, Mavericks, Nuggets, and Rockets. Support for subtitles has been added for the on-court interviews following a played NBA game. The user’s VC balance will now correctly display the current VC total in the post-game recap following a played NBA game where the received teammate grade was D+ or lower. The in-game framerate will no longer hiccup when the ‘My Matchup’ overlay is on the screen. Fixed a hang that could occur when the coach caught the ball during a live practice. The shot meter will now display when taking shots outside of the court while playing HORSE in your MyCOURT. Logos for the events on the event calendar app on the 2K phone should now always appear alongside the correct event. The Karl Anthony-Towns pre-game scene will no longer repeat every time you play him. Fixed a hang that would occur when selecting the “I’m always in rhythm” answer upon David Aldridge asking you how you were able to find your rhythm during the current game. New Player Edition NBA Nike Jerseys (and more!) in the NBA Store: Wade, Carmelo, I. Thomas, D. Rose, K. Thompson, D. Green, A. Wiggins, B. Ingram. The displayed VC balance should now correctly match what was earned after a played Playground game (the earned VC was there all along, but the balance was not always getting refreshed). A number of performance and stability improvements for the Ruffles event. Controllers Settings should now apply to Playground games. Fixed a stutter that would occur when people are playing on the courts and someone levels up. The correct score will now be attributed to the correct team during in-progress Playground games when queued up on a Got Next spot. Shots will no longer queue up when playing the mini-basketball game in the 2K Zone, making it easier to develop a smooth rhythm. The Who To Guard indicator has been re-designed to make it easier for you to quickly identify the offensive player you should be guarding in Playground games. Player signature walks that incorporated a basketball will now correctly draw the ball when performed in the Playground area of the neighborhood. Resolved Pro-Am Accessory issues that prohibited them from showing up correctly in the closet. Users will no longer earn progress toward their badges and cap breakers while the AI plays for them after fouling out in Pro-Am games. Fixed a case where users were not getting paid their full VC amount after Pro-Am games. The team overall will now calculate correctly on the loading screen of a Pro-Am game when there is at least one CPU player on the team. Fixed the issue where arena changes would fail to be applied the first time ‘Save Changes and Exit’ was selected when attempting to make changes to your Pro-Am Team Arena. Users can now use strategy cards in Super Max games in MyTEAM. Strategy cards are now stackable, in quantities of 20. Non-NBA balls will now properly appear in your home court when set in the Edit Franchise menu. Users will no longer be automatically taken to the Edit Lineups menu after upgrading a player’s badge. Users that excessively foul in online multiplayer MyTEAM games will now get kicked and given a loss. The “Replace Player” option has moved from the Edit Player menu to the Edit Lineup menu for usability improvements. To satisfy a popular community request, the NBA logo has been removed from the created uniform template in MyGM/MyLEAGUE. The CPU will no longer override user-made decisions during the Qualifying Offers offseason time period. CPU teams will now be more conscientious of when they should renounce the rights to their players during the offseason. Fixed a hang that would occur for some users when they were signing a two-way player for the remainder of the season. Fixed a soft hang during the draft in MyGM/MyLEAGUE when the user attempted to negotiate a trade. Addressed a fantasy draft issue where certain players were being incorrectly omitted from the selected player pool. Fixed a case where we were incorrectly determining that a user was trying to maintain the rights to too many Draft & Stash players (it would force you to release a player you should have been able to sign). Addressed a case where a Draft & Stash player would appear on a G-League roster prior to his signing an NBA contract. Identified and corrected an issue that would lead to the inability to load your MyGM file. For those previously affected by this, your save will now properly load. Baskets will now count for the correct amount of points when the league approves the rule change that grants automatic points to be granted on shooting fouls (in lieu of free throws). Attendance will no longer show as 0% for playoff games in the financial information menu of MyGM. Gray indicators have been added underneath the feet of your teammates in the Playground; it is now much quicker and easier to discern your teammates from your opponents. Addressed a case where Draft-and-Stash players in MyLEAGUE/MyGM would be signed to a $0 contract, while simultaneously being duplicated in the upcoming rookie draft (new save required). Generated prospects in future seasons of MyLEAGUE/MyGM will now always have heights appropriate for their position (new save required). Additional notes: this update was announced yesterday, and isn’t live. It should be released “soon”.